For a new real estate investor, the question of whether to buy a Multi-Family Residence (MFR) or a Single Family Residence (SFR) can be a tough question. Like most things in life, there are pros and cons to each. You simply have to decide what is best for you in either case after knowing a few facts. Investing in real estate, either an MRF or an SFR, is a good investment. As long as you have a long-term plan in mind, you can make it successful. 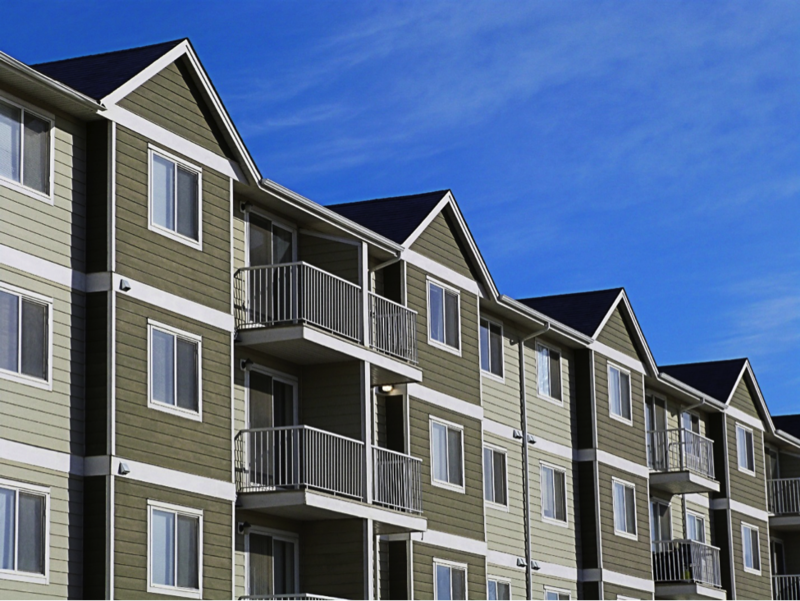 At first glance, investing in a multi-family residence seems to bring the most cash flow. After all, more units to rent means more money, right? Well, that depends on your long-term goals. Here are 4 reasons consider investing in an MFR. While it’s true that the overall cost of an MFR will outstrip an SFR every time, the per unit cost will be far less. Additionally, your cost to maintain that unit and even property manage that unit will be far less on a per unit basis. Let’s say you owned 2 SFRs and 1 MFR with 2 units. The MFR enjoys economies of scale for things like repairs and maintenance. If you need to replace the plumbing in the MFR, you can do one big job on both units, whereas with the SFRs, you’ll have two completely different plumbing jobs and that will mean higher cost. In addition, your state may require an onsite employee if the MFR is over a certain number of units. The main difference you may not know about property financing is that even with best credit, banks will limit the number of mortgages you can hold—usually to 10. But, if you finance 10 MFRs with 5 units each, that’s 50 units you can call your own. And you can enjoy the cash flow of all those tenants. This is a no-brainer. If your SFR remains empty, that means the cost for that unit is going to come right out of your pocket. On the flip side, if you have an MFR that’s only partially rented, you can offset some, if not all of the cost with the rent of the other units that are leased. This has been mentioned before, but it’s worth bringing up separately; typically with MFRs, you’ll generate a positive cash flow quicker, especially with new units. That said, as MFRs age, and they typically don’t age as well, more of that initial cash flow will be eaten up by maintenance and upkeep costs, so be sure to keep that in mind as you consider where to invest your resources. So with all of the above reasons, why would someone consider investing in an SFR instead of an MFR. Again it depends on your long-term goal. If you’re looking to invest in a property and see a greater return on your investment in the long-run, SFRs might be the best option. Here are 5 reasons to consider a SFR. Typically, an SFR is located in a nicer locale than an MFR. Consider a quiet neighborhood and its typical location compared to where apartments are located. Good property locations can make a unit easier to rent. After all, location, location, location still matters in real estate. Most property management companies will tell you that tenants in SFRs are usually more conscientious about their property than tenants in an MFR. That’s usually because they’re looking for a home rather than just a place to live. Tenants that choose a SFR can have more long term residential goals. Baton Rouge property management team Real Property Management says that tenant turnover is the single largest cost for real estate investors. That’s why SFRs are often a better play. Longer renting tenants means you won’t have to constantly advertise, show, and re-lease your property. The Baton Rouge area is a booming housing market and for Baton Rouge property management, there is ample opportunity to get a good return on your investment. SFRs usually go up in value over time and so the opportunity to make money just by owning a property can be significant. Here is where we talk about long term goals. With an SFR, you should have a goal to sell the house and pocket the investment once the property is paid off or go for a 1031 exchange. If you handle it correctly, you can have a big payday at the end of your investment which can fund a retirement or other investments. So, which is right for you? That depends on your personal goals and situation. Rental property investing requires time and patience, and with a really good partner like property management in Baton Rouge, you can be successful.